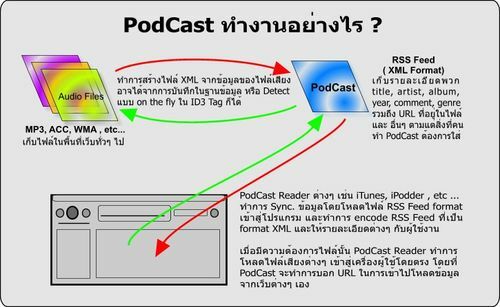 Podcasting หรือ Podcast คืออะไร ? The Windows Genuine Advantage Validation Tool enables you to verify that your copy of Microsoft Windows is genuine. The tool validates your Windows installation by checking Windows Product Identification and Product Activation status. After you install this item, you may have to restart your computer. Once you have installed this item, it cannot be removed. The product key associated with your copy of Windows was never issued by Microsoft. ไม่เป็นไร อิๆๆ เรามีแผนสองอยู่แล้ว เพราะผมได้เตรียมมันเอาไว้ !? CD-Key ลิขสิทธิ์แท้ ราคาไม่แพง (หรือเปล่า) แต่ด้วยว่าไม่อยากเปลี่ยน (ด้วยอารมณ์ขี้เกียจ) ตอนนี้ได้เปลี่ยน บอกไว้ก่อนนะครับ ผมไม่ให้นะ CD-Key ลิขสิทธิ์อ่ะ เดี่ยวโดน Block ผมจะแย่ …. After the download, this tool runs once to check your computer for infection by specific, prevalent malicious software (including Blaster, Sasser, and Mydoom) and helps to remove any infection found. If an infection is found, the tool will display a status report the next time you start your computer. A new version of the tool will be offered every month. If you want to manually run the tool on your computer, you can download a copy from the Microsoft Download Center or run an online version from microsoft.com. This tool is not a replacement for an anti-virus product. To help protect your computer, you should use an anti-virus product. Install this update to address an issue that may cause a “Generic Host Process” error message to be displayed after you install security update MS05-012, or cause attachment file names not to be displayed in Rich Text e-mail messages. After you install this update, you may have to restart your computer. A security issue has been identified in the Print Spooler service that could allow an attacker to compromise your Microsoft Windows-based system and gain control over it. You can help protect your computer by installing this update from Microsoft. After you install this item, you may have to restart your computer. A security issue has been identified that could allow an attacker to gain access to sensitive data transmitted through your Microsoft Windows-based system in a domain environment, and to perform denial of service attacks against domain controllers. You can help protect your computer by installing this update from Microsoft. After you install this item, you may have to restart your computer. A security issue has been identified in the Remote Desktop Protocol (RDP) that could allow an attacker to remotely cause your Microsoft Windows-based system to stop responding. You can help protect your computer by installing this update from Microsoft. After you install this item, you may have to restart your computer. สำหรับใครที่ไม่อยาก Update ก็อ่านที่นี่สักหน่อย ทำไมต้อง update patch ซอฟต์แวร์ด้วยนะ ? เคยไหมที่รู้สึกความยุ่งเหยิง รกรุงรังของ Customize Notifications ที่แสนจะมากมายกายกอง และทำให้เครื่องช้า วันนี้เราเอาเทคนิคในการ "ล้างบาง" มันออกไป …..